Current research and development of 3D-printing techniques (additive layer manufacturing/fused deposition modelling) for building construction is mainly based on the technical scaling-up of established small scale 3D-printing processes. This results in significant reciprocal constraints to global geometry, surface texture resolution, fabrication speed, bulk deposition and building element size. Biological processes as a template for architectural applications have rarely been used as possible insights for the development of alternative technological processes for the additive manufacturing of self-supporting surface structures. One particularly promising biological model is shell formation in the land snail, which produces complex shapes with highly structured, functional surfaces. These snails are of specific interest because, in contrast to most other shell-producing animals but similar to technological 3D-printing processes, they produce building material extruded at a single groove of »productive« tissue. 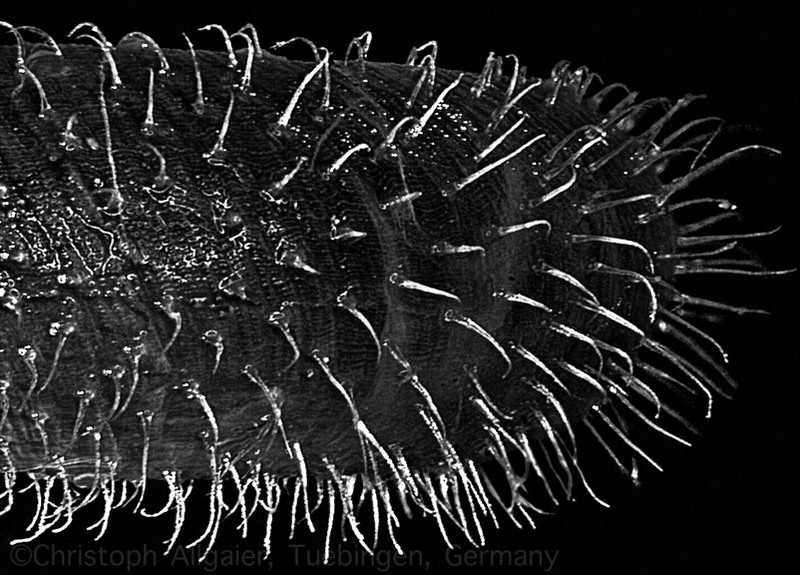 Furthermore, these shells are formed in a distinct manner by soft parts that freely move in 3D space. 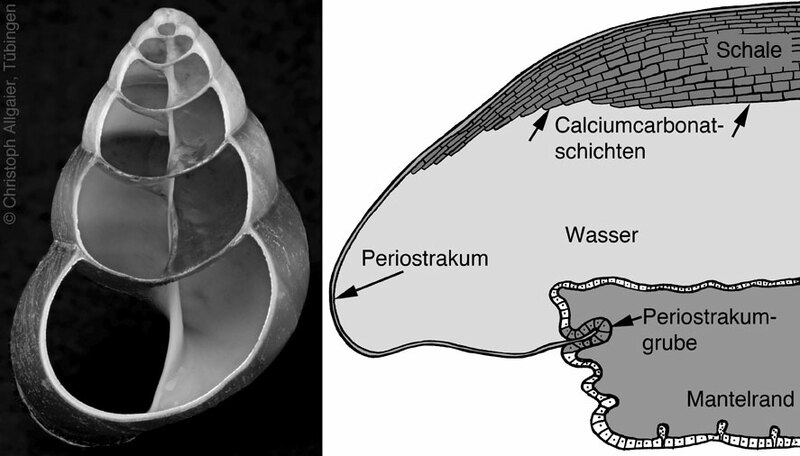 The soft parts are only connected to the shell at the shell apex. Based on these production principles, snails are capable of generating a wide range of shell forms and surface textures constructed through the shaping and hardening of composite materials with both organic and inorganic layers. Based on the investigation of the principles and processes of the continuous shell formation of land snails, this project aims at developing an adaptive layer manufacturing process (3D-printing) and computational design methods for the construction of lightweight architectural envelope structures. The main objective is the additive manufacturing of complex architectural surfaces with added functionality by microscopically structured surface textures built from composite polymer materials. 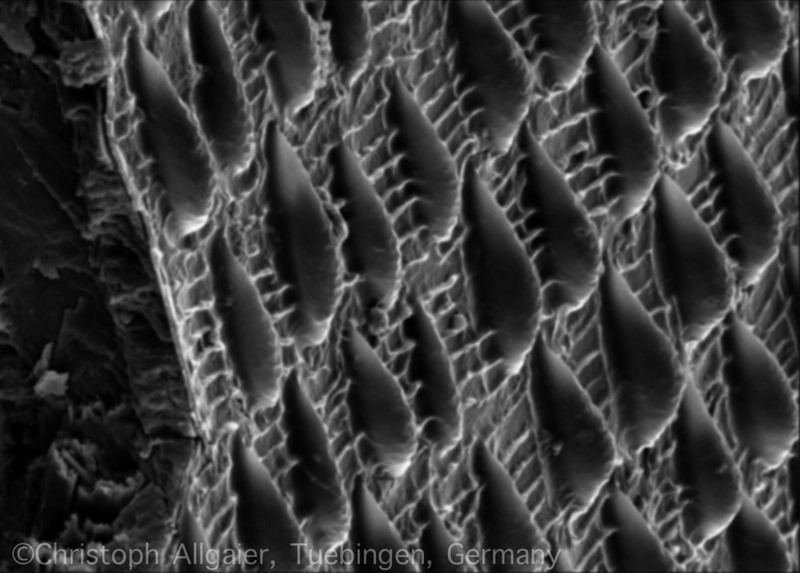 The study of the interrelationship between the biologically induced structure and the habitat of the animal, which is expressed through differences in shell forms, surface textures and organic/inorganic composite structure, is expected to lead to new biological insights and the recognition of the relevant principles for technology transfer. The identified principles and process parameters will lead to the integrated development of computational design methods and associated fused-deposition modelling system for composite polymer materials for building-scale applications. The interdisciplinary research is based on the following methodology: screening of land snails with regard to shell form, surface texture, composite structure and functional morphology. This will show the dependence of design principles to specific habitats. Furthermore, the functional morphology of the generating tissue and the related influence of biopolymers will be studied. The formation and the resulting structure of the organic and inorganic layers will be investigated and transferred to the technical development and testing of various materials suitable for fused deposition modelling processes. Biological production and structure formation processes will be transferred to an abstracted experimental set-up in order to test underlying principles. The biological principles and natural formation parameters will be transferred and integrated in computational design methods leading to the development of a computational design tool for architectural applications. Scaled samples will be 3D-printed for testing and analysis and a fused deposition modelling process adapted to building-scale 3D-printing will be developed in collaboration with project B04. Full-scale demonstrators will be produced and evaluated. Surface features of terrestrial snail shells. 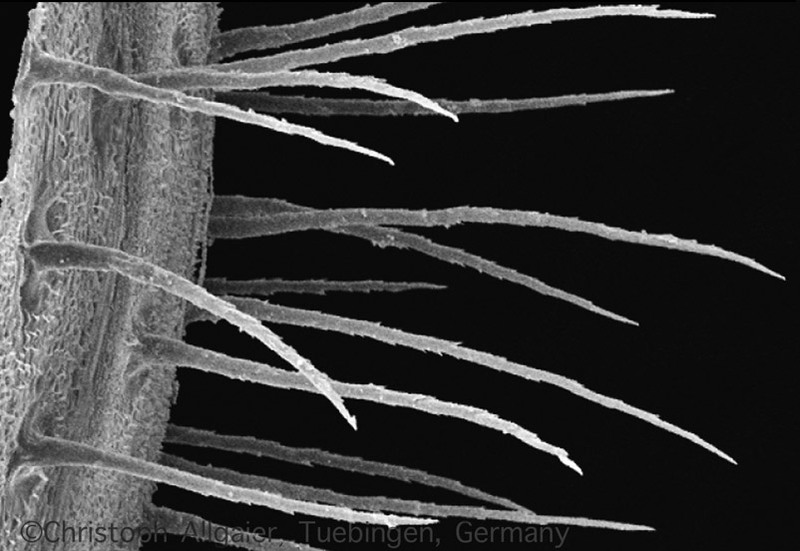 The periostracum, which covers the inorganic shell layers, displays various outgrowths including hair-like structures.